Gift Vouchers: Our Last Post Date – these have been flying out over the last couple of weeks with one customer buying 5 gift vouchers for family and friends (I want to be on their Christmas list!). But as ever with postal dates, we will need your orders for any Christmas Gift Vouchers in by Tuesday 19th December. You can purchase these online here. Our BIG Christmas Eve Giveaway – have you entered? What? No? Where have you been? It really does just take 2 minutes to enter with one easy question and you can win 6 beach hut days. Just think how much better 2018 will be filled with beach hut memories! Just click HERE to enter. 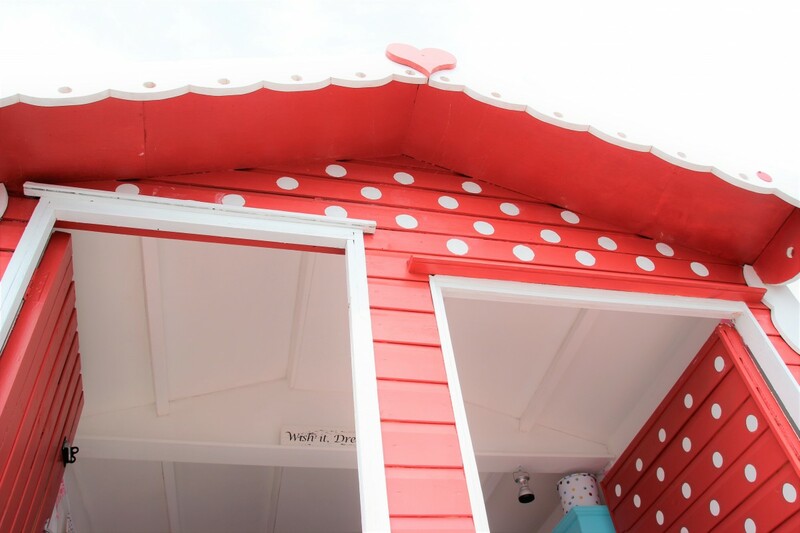 Minnie and Mickey available for sale – while we loved helping create both these huts and develop their styling. John who owns both these huts has snapped up two front row huts in Southcliff and decided to sell Minnie and Mickey. They are available as single beach huts with an advertised price of £21k each (subject to negotiation). Do get in contact with me if you’d like to discuss or arrange a viewing and you may want to dive into my Beach Hut Owners resources on the website to find out more information on buying and owning a beach hut. If the huts remain unsold gong into next year, you will see us advertise shorter notice dates for hire and I’ll be updating our website over the next week to reflect. New double front row huts for hire – One of those new huts that I’ve mentioned, you’ll be thrilled to hear, is right next door to our very own Isla. So from early spring look out for all the details on Mollie who will be available to hire as a duo with Isla too. EXCITING. 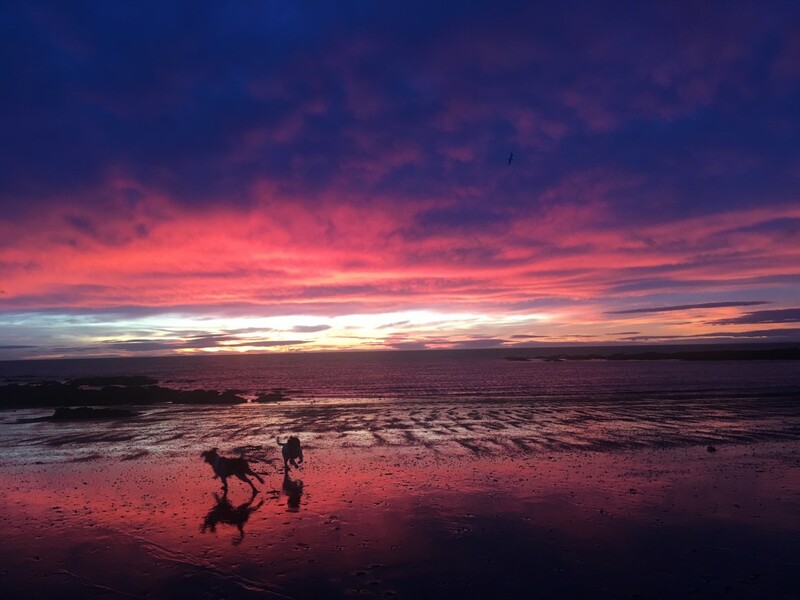 Security and Maintenance Downtime – a very quick reminder that as mentioned during our last roundup, our beach huts will not be available for bookings during January and February 2018. We’ve been creating our own list, and checking it twice, and will be ensuring that they are all up to our normal standards pre the 2018 season!! There is one exception – if you are a Millie’s Beach Hut Club member then you can book dates during that period on an exceptional basis for any special birthdays or even valentines days proposals! Do just get in touch! I love this article sharing the news that Bexhill Youth Centre managed to fundraise, in just one week, to raise enough money to buy their very own beach hut. I’m a firm believer that beach huts need to move away from being seen elitist and open to all for use through hire, or community groups and even shared ownership. I cannot wait to see how they adapt the space for young people seeking a respite break! (p.s if you are asked to complete a survey to read.. just scroll down and hit skip if you don’t wish to complete on this news site!). I’ve also been loving the photographs and updates from Brighton’s Beach Hut Advent Calender. This is an annual event and yet again shows the strength a beach hut community has to ‘give back’ and share their own creativeness. While it’s been difficult to track down one places that shares them all – I’m a little in love with this particular beach hut which was filled with 350 wishes! Traditionally in our house we always have a couple of new drinks or a cocktail to try on Christmas Day. This year, we’ve indulged in buying some Pickering’s Gin Baubles (grab yours here quick pre-last postal dates) but I also love the look of these Christmosas! I’m thinking the champagne could be swapped for Prosecco too. They look super festive and suspect will be a fab idea for a beach hut celebration too! I am also in the depth of planning for 2018 and part of that process reviews how I go about tracking and making sure I do all of those to-do lists. Some of you already know that I love a bullet journal so I’ve been gong a bit crazy on Pinterest saving various setups and styles. I love this video by Nifty in particular which shows clearly how you take a simple layout and make it look stunning!! Expect spamming over on our Instagram account when I get my 2018 version up and running! Hmm now, this one is tricky this month, as I may give away too many hints on Christmas presents that I’ve bought for others! Sooooo I’m just going to share this one as I can trust you all not to tell Millie. You won’t .. will you!?!? DogRobes!! I’ve been humming and haaaing over which supplier to use for our sister business Millie’s Pet Services and we’ve finally gone all in on buying a fab red DogRobe for Millie. She’s not a massive fan of dog jackets, so this will be perfect for in the car afterwards and also for back in the beach huts post a beach run too! I’ll get a review up asap and some photos too! Oh and actually I can share a second in that we’ve booked our normal January week getaway. We will be heading off to the Scottish Borders to test out the gorgeous Holiday Cottages Melrose. Rated as super dog-friendly with the Elldon Hills on our doorstep, I suspect we’ll have fun! As always, I’ll get reviews of both up on the blog asap and expect lots of Instagram Stories updates!! 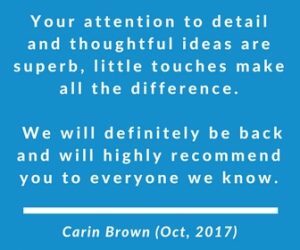 We were so thrilled to hear from Sarah, of Baxter and Snow, that she was also the very talented lady now behind Little Wooden Cove. 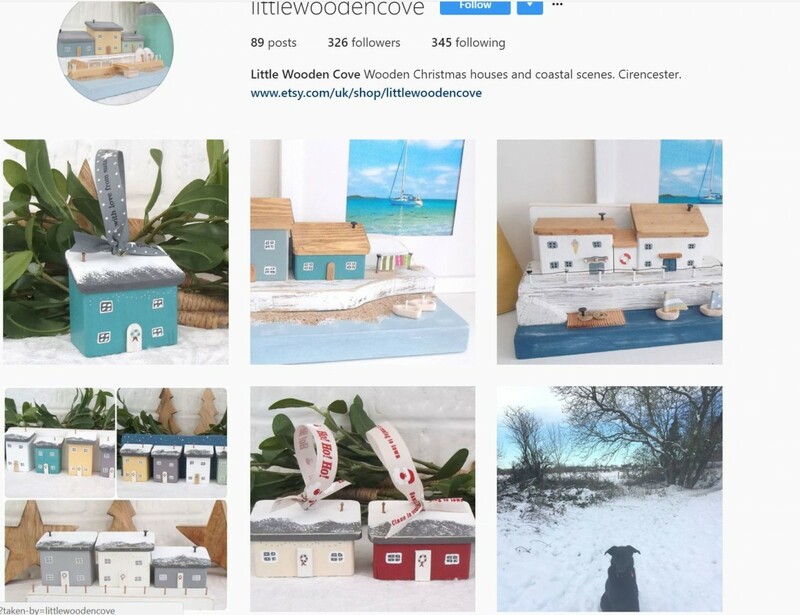 Just look at that gorgeous Instagram feed and those cute Christmas themed houses. Perfect for beach huts, homes, gifts and well… anywhere as they are just too adorable! You can find her on Facebook too.